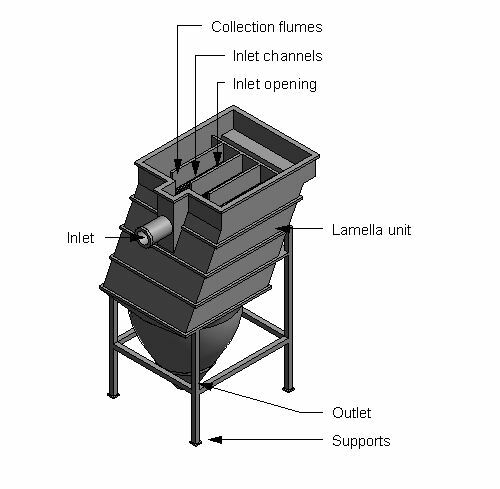 Packaged lamella unit are described by characteristics such as motor, process fluid flow rates and influent properties. Complete this electronic spreadsheet to ensure that your Packaged lamella units product information meets the requirements of Level 2 BIM. This is important as it will enable your customers to select, specify and use your products within the BIM environment. Once you have completed this template you can host it on your own website or distribute it to your customers. Please note that we do not host completed product data templates within the BIM Toolkit. 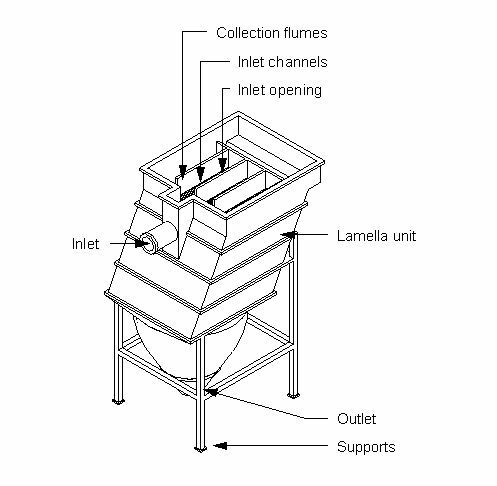 The above illustrations are for Packaged lamella units from the NBS section Biological filtration wastewater treatment products. This is indicative of the LOD requirements for Packaged lamella units. 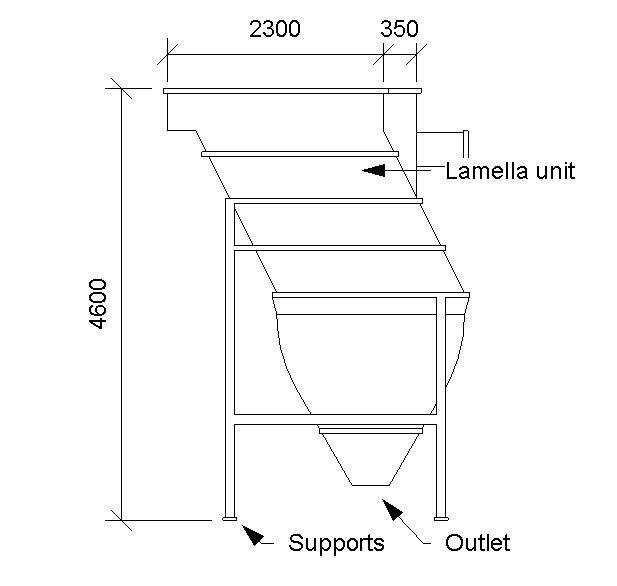 Manufacturer The Manufacturer of the Packaged lamella units. Standard The Standard of the Packaged lamella units. Motor The Motor of the Packaged lamella units. Motor - Power The Motor - Power of the Packaged lamella units. Motor - Supply voltage The Motor - Supply voltage of the Packaged lamella units. Motor - Nominal frequency The Motor - Nominal frequency of the Packaged lamella units. 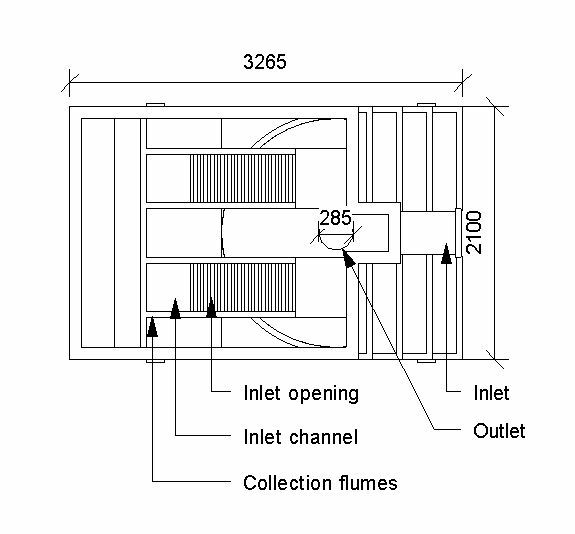 Motor - Direction of rotation The Motor - Direction of rotation of the Packaged lamella units. Motor - Output speed requirements The Motor - Output speed requirements of the Packaged lamella units. Motor - Required motor efficiency The Motor - Required motor efficiency of the Packaged lamella units. Motor - Thermal protection The Motor - Thermal protection of the Packaged lamella units. Motor - Temperature rise limit The Motor - Temperature rise limit of the Packaged lamella units. Motor - Terminal boxes The Motor - Terminal boxes of the Packaged lamella units. 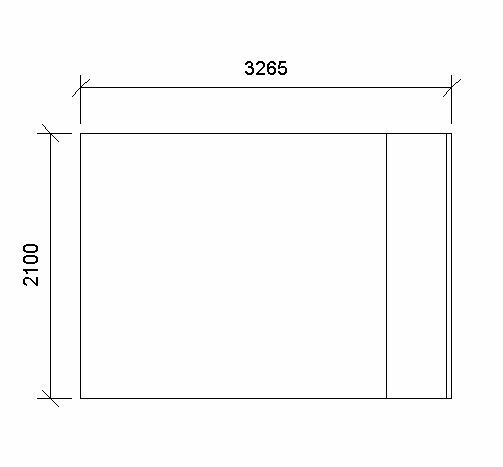 Motor - Terminal boxes - Detachable metal gland plate The Motor - Terminal boxes - Detachable metal gland plate of the Packaged lamella units. Motor - Terminal boxes - Cable details The Motor - Terminal boxes - Cable details of the Packaged lamella units. Motor - Anti-condensation heaters voltage The Motor - Anti-condensation heaters voltage of the Packaged lamella units. Motor - Mounting arrangements The Motor - Mounting arrangements of the Packaged lamella units. Motor - Mounting arrangements - Horizontal shaft The Motor - Mounting arrangements - Horizontal shaft of the Packaged lamella units. Motor - Mounting arrangements - Vertical shaft The Motor - Mounting arrangements - Vertical shaft of the Packaged lamella units. Motor - Type of motor protection The Motor - Type of motor protection of the Packaged lamella units. Motor - Gas group The Motor - Gas group of the Packaged lamella units. Motor - Temperature class The Motor - Temperature class of the Packaged lamella units. Motor - Ingress protection (minimum) The Motor - Ingress protection (minimum) of the Packaged lamella units. 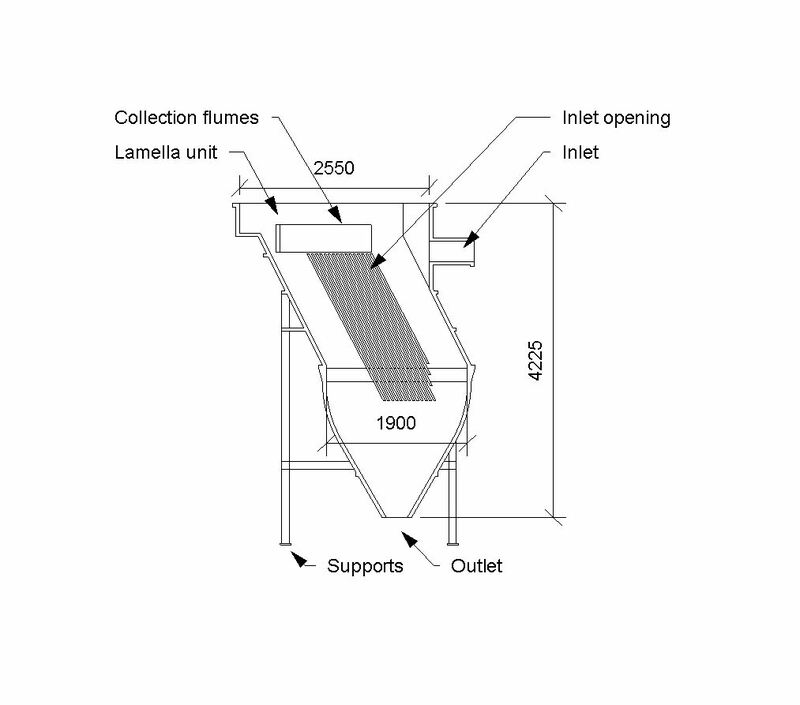 Process fluid flow rates The Process fluid flow rates of the Packaged lamella units. Process fluid flow rates - Minimum The Process fluid flow rates - Minimum of the Packaged lamella units. Process fluid flow rates - Average The Process fluid flow rates - Average of the Packaged lamella units. 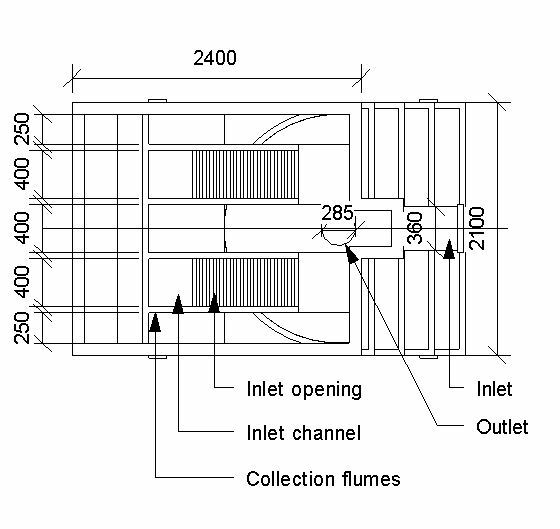 Process fluid flow rates - Maximum The Process fluid flow rates - Maximum of the Packaged lamella units. 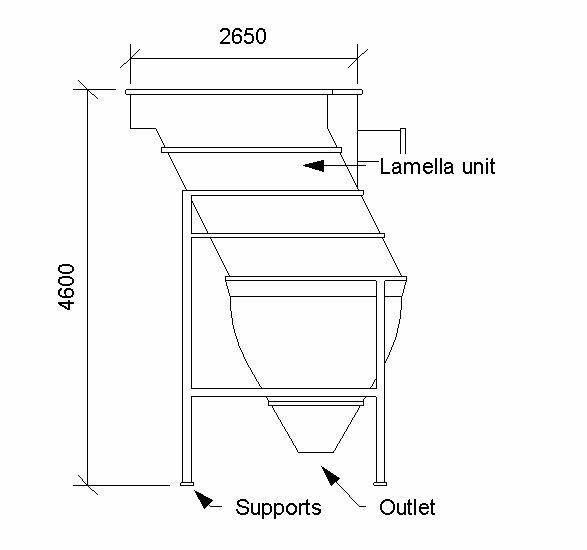 Influent properties The Influent properties of the Packaged lamella units. 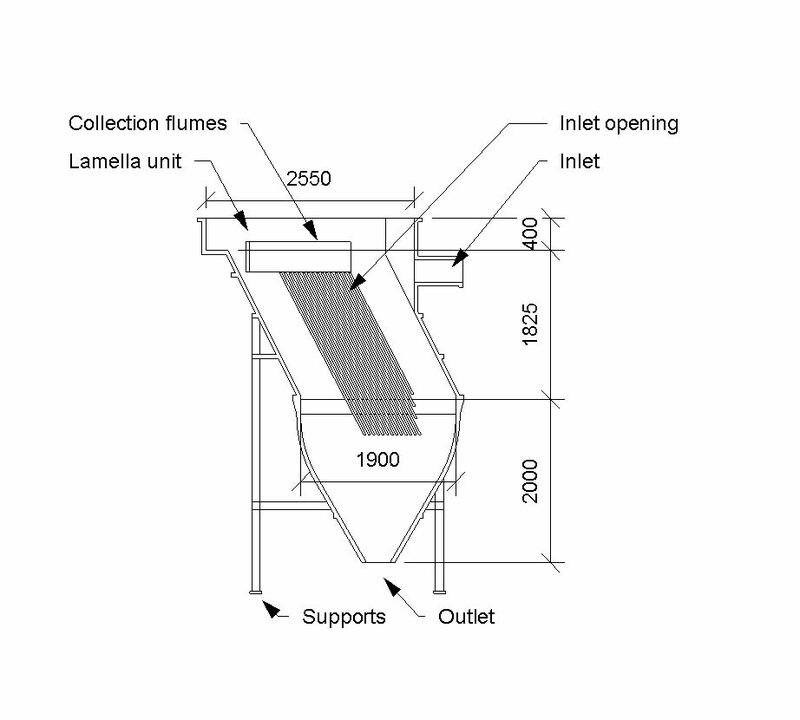 Treated effluent properties The Treated effluent properties of the Packaged lamella units. Treated effluent properties - Biochemical oxygen demand effluent concentration guaranteed The Treated effluent properties - Biochemical oxygen demand effluent concentration guaranteed of the Packaged lamella units. Treated effluent properties - Ammonia effluent concentration guaranteed The Treated effluent properties - Ammonia effluent concentration guaranteed of the Packaged lamella units. Treated effluent properties - Suspended solids effluent concentration guaranteed The Treated effluent properties - Suspended solids effluent concentration guaranteed of the Packaged lamella units. Treated effluent properties - Phosphorus effluent concentration guaranteed The Treated effluent properties - Phosphorus effluent concentration guaranteed of the Packaged lamella units. Treated effluent properties - Total nitrogen effluent concentration guaranteed The Treated effluent properties - Total nitrogen effluent concentration guaranteed of the Packaged lamella units. Lamella plate area The Lamella plate area of the Packaged lamella units. Sludge thickening tank The Sludge thickening tank of the Packaged lamella units. Sludge thickening area The Sludge thickening area of the Packaged lamella units. Dissolved air flotation The Dissolved air flotation of the Packaged lamella units. 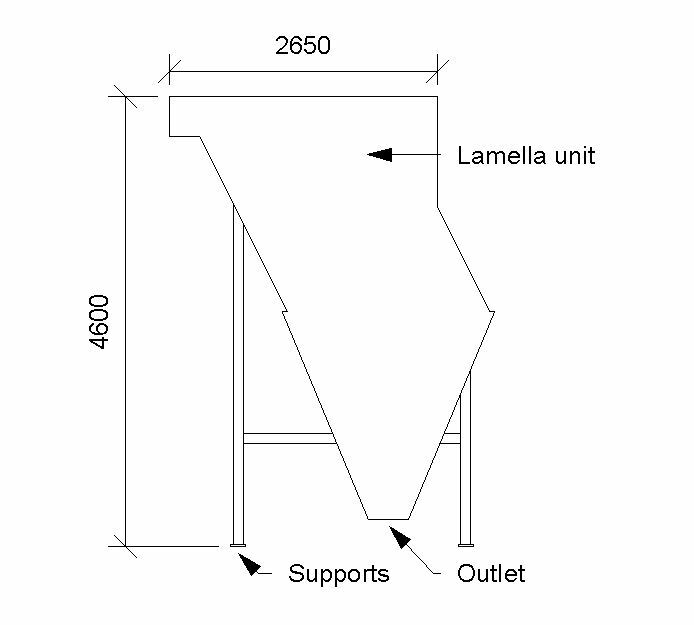 Unit size The Unit size of the Packaged lamella units. Material The Material of the Packaged lamella units. Material - Plates The Material - Plates of the Packaged lamella units. Material - Frames The Material - Frames of the Packaged lamella units. Material - Tank The Material - Tank of the Packaged lamella units. 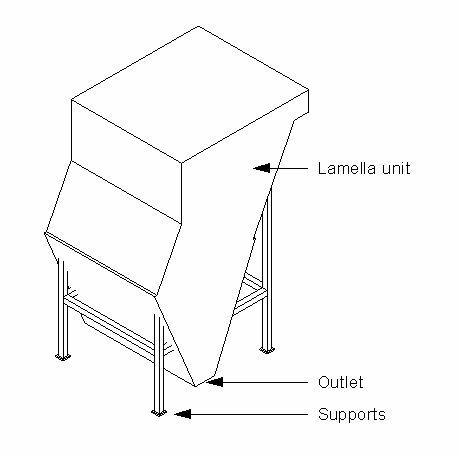 Surface protection The Surface protection of the Packaged lamella units. Walkway The Walkway of the Packaged lamella units. Accessories The Accessories of the Packaged lamella units.